So Long Summer Smooches & the Occasions Mini! I got a reminder email last night that told me today was the last day to place orders from the Occasions Mini catalog and I had to pull out my calendar to check…. how in the heck did we hit the end of April already?!? But I guess we did, which means today is your last chance to order from the Occasions Mini or anything from the Summer Smooches promotion! Like these awesome items are going away, and while I have my fingers crossed that they will make it into the next major catalog, I have no way of knowing if they will or not. And then there is Summer Smooches. The Fabric brads have already sold out, but the paper, stamp set, fabric, and digital designs are around for today only. Then they get stored away until the new catalog comes out. I thought I’d share with you a card I made recently as a thank you for an order. I knew she liked bright colors so I thought I would play off the colors in the Summer Smooches designer paper. 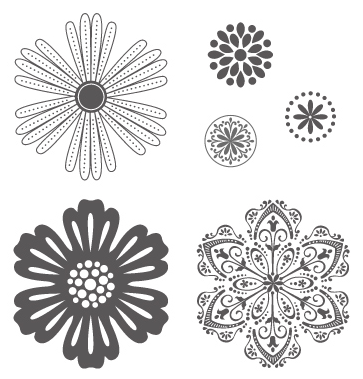 I also played a bit with my corner rounder punch to curve the opposite corners of each piece of designer paper (and Daffodil Delight cardstock) to play into the pattern and shape of the flowers on the paper. 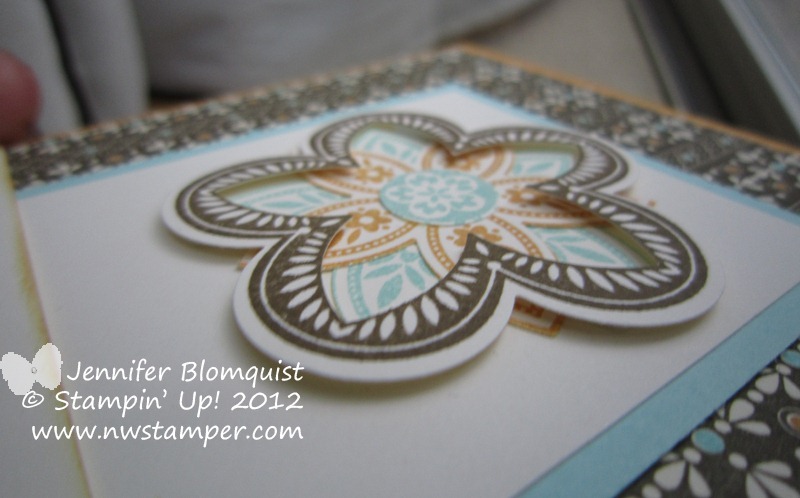 And then I just popped up each piece with some Stampin’ Dimensionals. Oh, and I just realized I used the sentiment from the Thank You Kindly set, another stamp set that is retiring this year. Sigh… so many great stamp sets headed for retirements. I’m so sad they are going but am hoping that means even cooler stamps are headed our way with the new catalog! So, if you haven’t gotten everything you wanted from the Occasions Mini or Summer Smooches, don’t delay! Email me or pop on by my online store and grab them before they are gone tomorrow! Good morning! Its been a couple days since the Stampin’ Up! retiring accessory list was released and I’ve been seeing lots of confusion and misinformation out there and so I wanted to take a minute to try to clear some things up for you. Also, scroll down to see an update on what has sold out! 1. The colors aren’t changing! You may have noticed that all of the classic ink pads are on the retirement list. 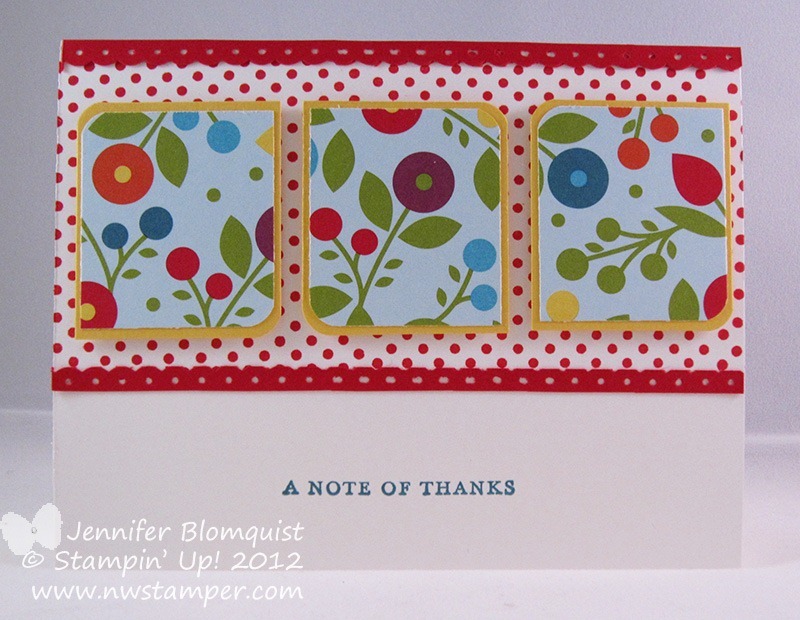 This is because Stampin’ Up! 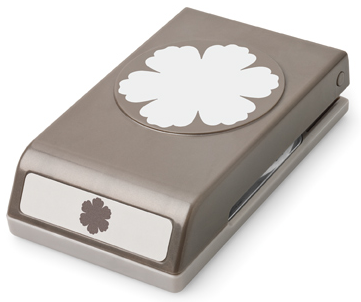 is changing the physical pad to use a new “firm foam” pad to allow for better inking of your stamps. They are also updating some of the printing on the pad cases and including labels for the ends of your ink pads so you can easily see what color you are grabbing. So, the current pads are retiring but the ink will still be there in June, with the exception of the 2010-2012 In Colors. 2. Use your current ink refills! With the ink pad changes, some folks are wondering about ink refills. With the exception of 5 colors that had to be reformulated for the new pads (Basic Black, Basic Grey, Marina Mist, Perfect Plum, and Tempting Turquoise), current ink refills will work with the new pads. Similarly, the ink refills that will be sold in June will work with the current pads. Its just those 5 colors that you need to use old refills with old pads and new refills with new pads. 3. Yes, Craft ink is going away! With the exception of Basic Black and Whisper White, all of the craft ink pads and refills will be retiring. The ink refills are selling out quickly, so if this is something you are interested, I would grab yours right away. 4. 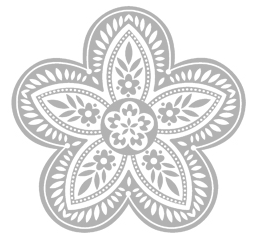 Textured cardstock is discountinued. 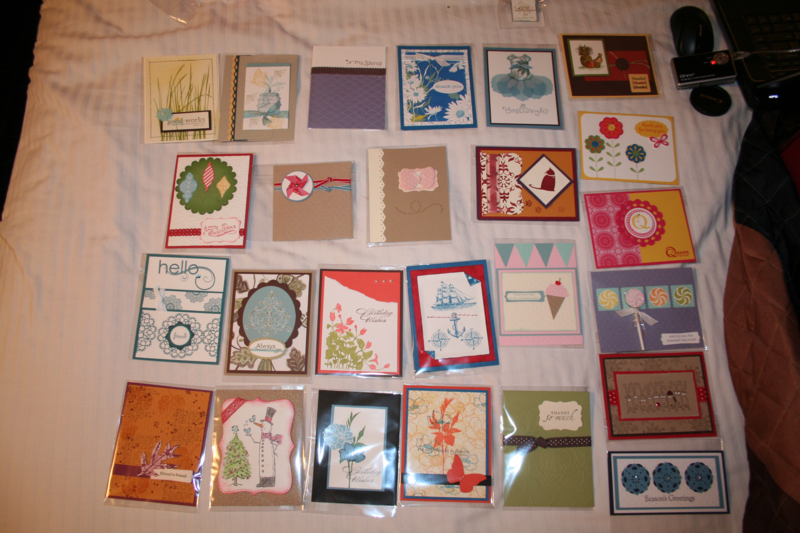 It is true that the 12×12 textured cardstock collections are all being retired and will only be available in smooth cardstock in the future. 6. Markers are mostly moving to collection packs only. Like the 12×12 cardstock, most of the Stampin’ Write markers are changing to be sold in family collections and the large Many Marvelous Markers pack. All of the colors will be available, but most won’t be available individually. 7. Anything you see on the retiring accessory list with an asterisk ‘*’ means it will be available in some form in the new catalog, just in a different form factor or tool/packaging collection. 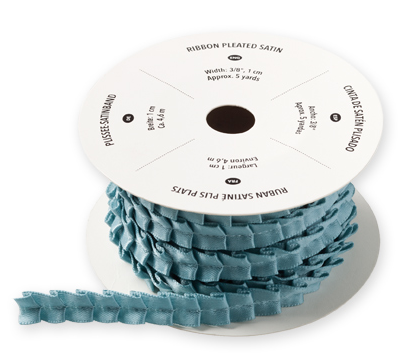 So, items like the paper piercing tool, scrub pad, etc aren’t going away for good but we aren’t sure what they will look like until we can see the new catalog. Also, if you haven’t placed your order for retiring accessories, I would recommend doing it sooner rather than later. I’ve been surprised how fast some items are selling out! So, check out the lists and contact me via email at jennifer@nwstamper.com or visit my online store to order your wishlist before more items sell out! Sometimes when a stamp is slated to retire, it makes sense. You can see that the set is looking outdated or there have been new stamps that look almost the same. But then there are the stamps that I just don’t get…. this is one of them. I mean, check out how cool this flower is!! 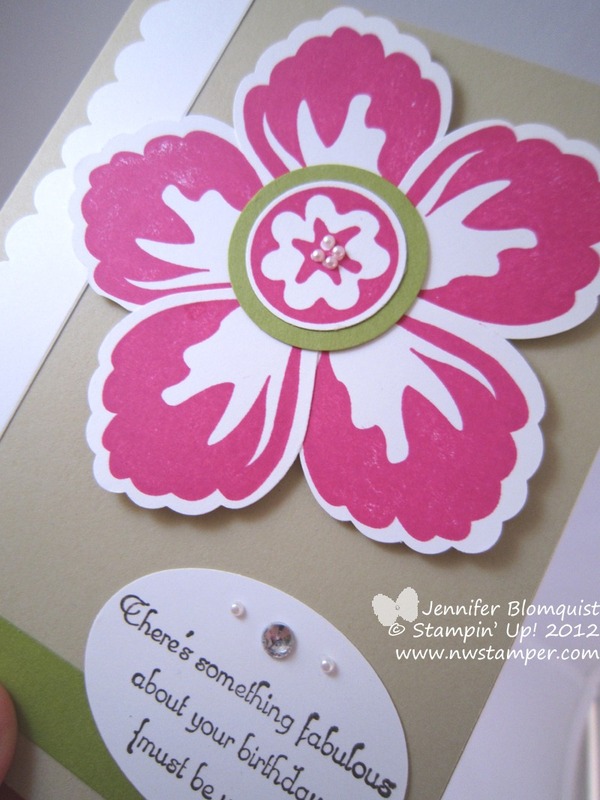 I love that the Triple Treat Flower is pretty as a flower stamped as it. But then the fact that you can punch out 3 different shapes from one stamp is just too neat! And if you read my newsletter, you saw that this is one of my favorite configurations for the punches that come out of this flower. I just love the dimension and contrast you can make. 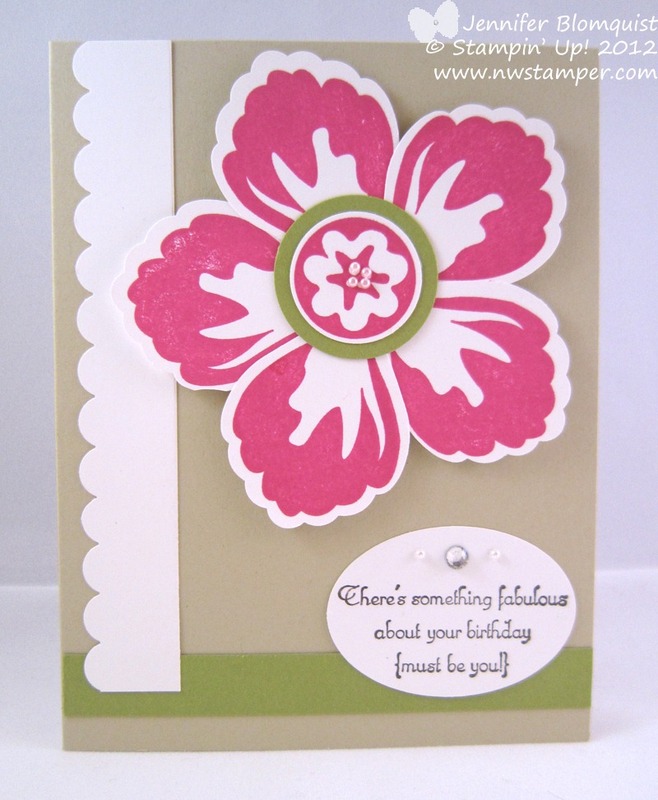 This is another card I did a while back but I just love the colors and the way the flower just pops off the page! But imagine if you used different designer paper and maybe some pinks and purples, or blues and yellows… you could have a great spring card too! The Retiring Accessory List is Up! Don’t forget that these items are while supplies last so check out the list and grab your favorites while they are still here. You can order online or shoot me an email to make sure you get yours! It’s Posted! The Full Retiring Accessory List Is Here! Oh man, this is always the hardest retirement list for me to read. I LOVE my embellishments… I know, I know, I hoard them a little too much and don’t use them nearly as much as I should be cause I “don’t want to run out” but it always makes me sad to see some of my favorites won’t be available anymore. So, here it is… the full list… and it’s a DOOZY! But at least many of the items are on sale for 25%-70% off!! Don’t Miss My Special One-Day Sale! With so many great products on the list, I want to help you get all of your favorites before they are gone. So, I’m offering a 1-Day Only Sale! note – online orders will be mailed a check to reimburse you for the discounted amount as I am not able to apply discounts prior to purchase when shopping online. Shop online now to grab your favorites before they are gone! One of the stamp sets on the 2012 Retiring Stamps List is the set Charming. This is a cute little set that when it came out was promoted as being the perfect size to use with the Simply Adorned charms. I was slow to try out Simply Adorned and so my set has sadly, not seen much ink. But when I was putting together a quick thank you card, it ended up being just perfect. 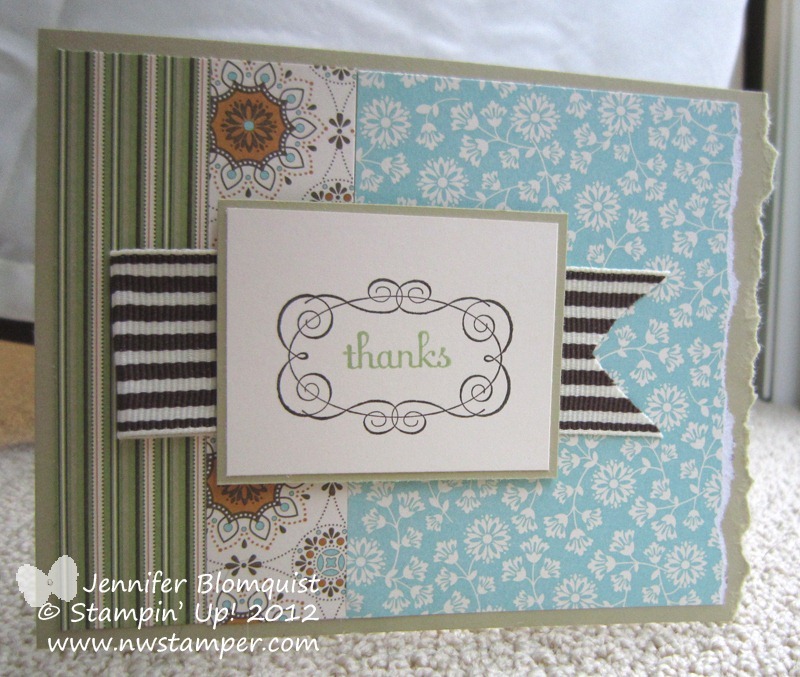 I stamped the frame and then used my Fabulous Phrases stamp set to place my “thanks” in the middle. 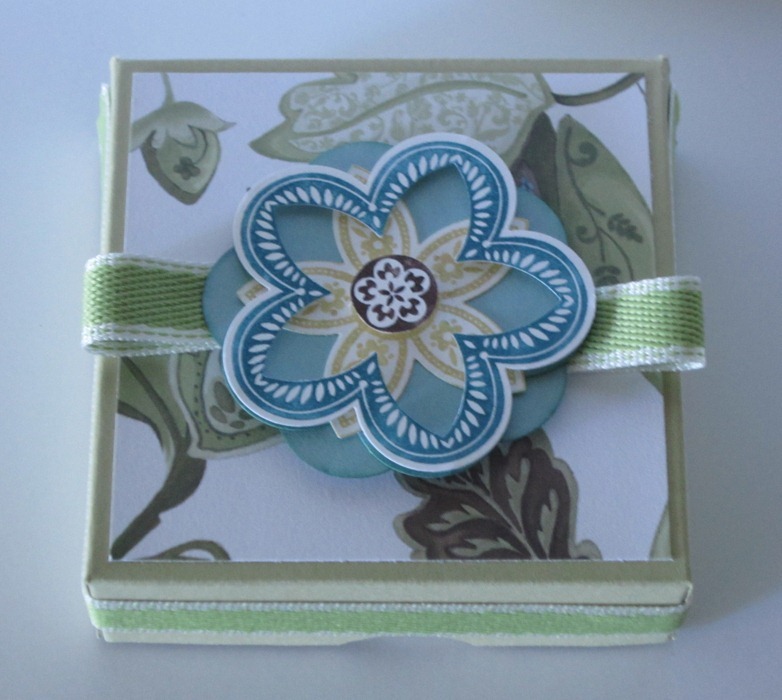 This layout is a perfect way to use up scraps of your ribbon and designer paper. Just mix and match patterns and ribbons and you are just about done! Now to enjoy this stamp some more before it heads to retirement! Does anyone else have a pile of scraps lying around? Images stamped and even punched but then discarded as not right for your project? Well, I have a HUGE pile of those types of scraps lying around and so I decided it was time to either use them up or find a new home. So, after a little digging, I came up with these Melon Mambo flower pieces from the Build-a-Blossom stamp set, the birthday sentiment already punched out, and the Whisper White scallop strip. So, I started mixing and matching and suddenly the following card appeared! Now, to just find more treasures in my scrap pile! What can you find in yours? Convention 2012 Here I Come! Alright, I’m going to warn you right now that today’s post is going to be a total photo bomb! Some folks have asked where I get my ideas or have said I am so excited about what I do – so I wanted to share with you where some of that comes from and how you can get in on it too! 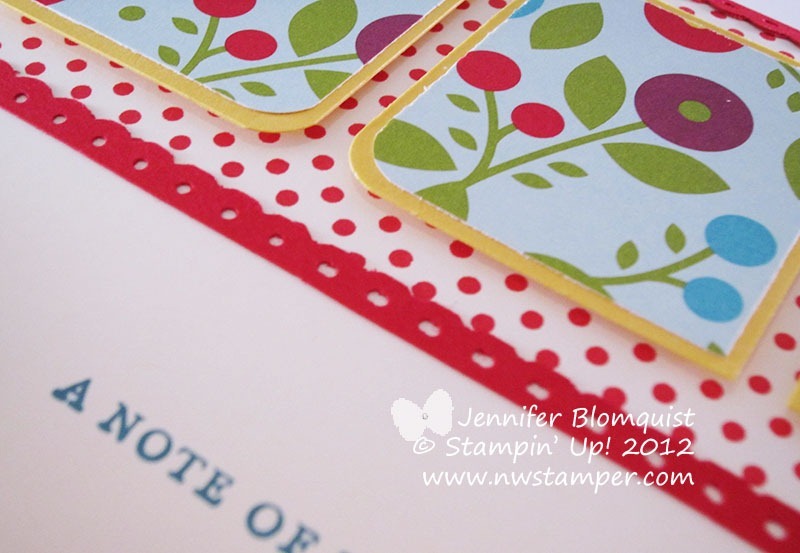 The annual Stampin’ Up! convention! 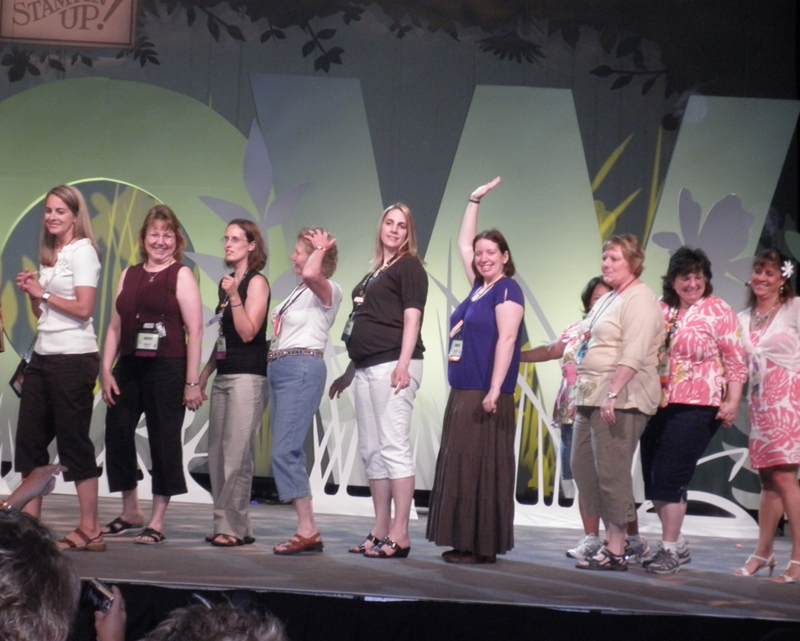 I was so excited when registration for the Stampin’ Up! 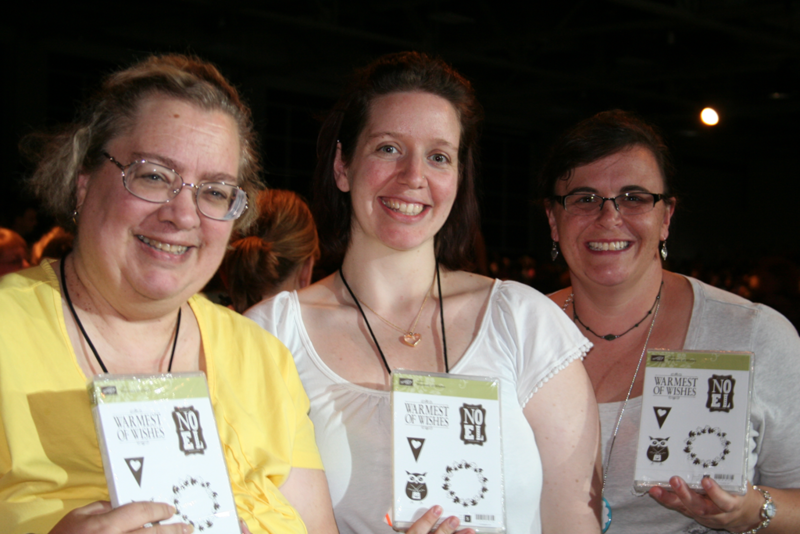 convention 2012 opened up earlier this week that I registered in the first 15 minutes! This will be my 4th convention in a row and my 2nd where I’ll have a baby with me. I get so many ideas, learn so much, and have a ton of fun that I can’t imagine not going each year. This is the place to be. 🙂 Here are some photos from my trip last year so you can see what I mean. If you are interested in learning more about coming, shoot me an email and I’d love to give you the full scoop! Already registered? Leave me a comment, I’d love to see who all my stamping buddies are that are coming with me to Salt Lake! 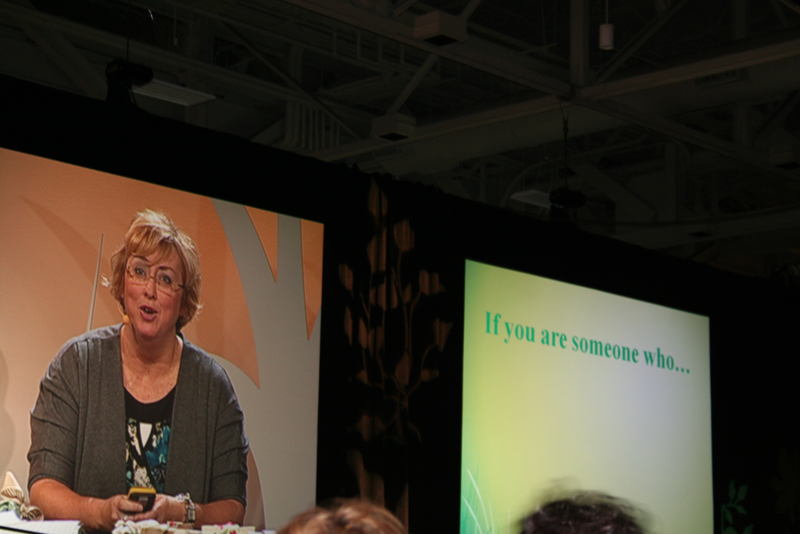 Business and Stamping Tips from Stampin’ Up! and other successful demonstrators Achievement walks! That is me in the purple. 🙂 I got to walk across the stage for growing my team. If that wasn’t enough, here are even more awesome snapshots from my time in Utah: Keep reading to see lots more Convention Photos!